Paula, a local guide for Urban Adventures in Lima, is more than your average explorer. She has taken tourism one step further by using her role as a tour guide as a way to promote literacy around the countryside of Peru, a country that is known for having some of the lowest education levels in South America. When she was only 22 years old, she was presented with the opportunity of a lifetime. Her uncle asked for her help in organising a trip of Peruvian writers to spread the word to small villages in Peru about the importance of education. The journey would last one month, weaving through the 700-kilometre trail that Spanish conqueror Francisco Pizarro took in 1528 from Tumbes to Cajamarca. The group would use maps, operate equipment, and follow a route all under the guidance of Paula, who had recently graduated from guide school. “I was so excited!” Paula says. Her eyes brighten and a large smile spreads across her face at the memory. 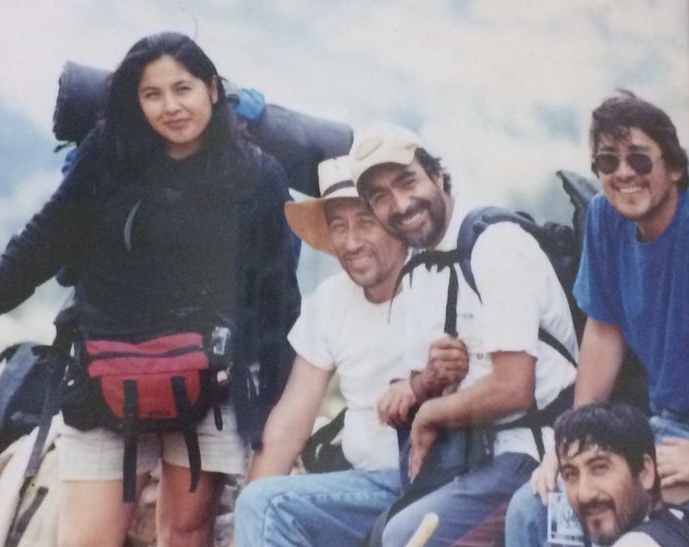 “We never used a tent because the people opened their houses to receive us.” It was traditional hospitality for a traditional trek — the group hiked the path entirely on foot. Along the way, they promoted literature, and the importance of reading books and newspapers. They gave speeches on the value of education to the villagers. As the word spread, local universities began to donate books from their libraries, sending them to the team to distribute throughout the small towns. As the month-long journey came to an end, Paula had a newfound appreciation for her own education — not just formally, but what she learned on that trek, too. The lessons she learned have stayed with her ever since. “It made me never quit reading, never stop researching, never stop being educated.” The impact that travel had on her made Paula realise how fortunate she was to grow up with books, to get an education at the school of her choice, and to have the opportunity to choose a career she loves. Over the next eight years, Paula was a guide in the Amazon rainforest, taking tourists on jungle treks and encouraging them to understand the importance of helping children in need. 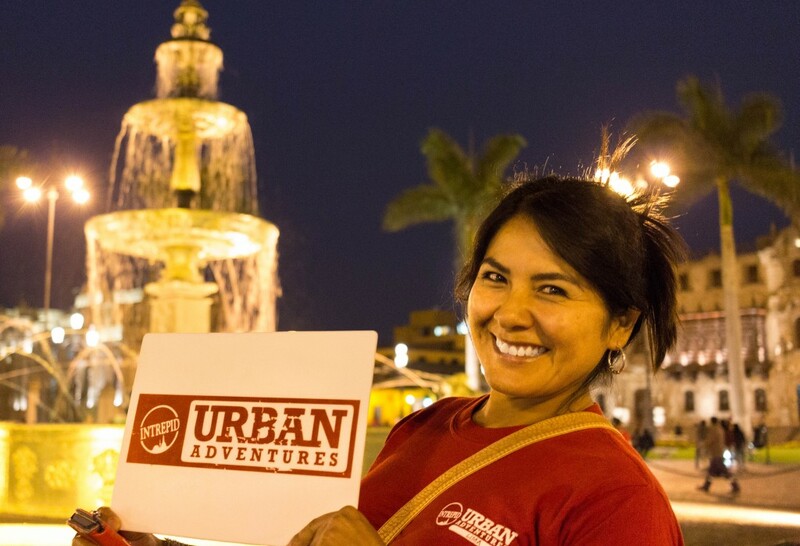 Today, Paula keeps education and tourism in her heart as she leads local tours in Lima with Urban Adventures. During her 16 years of travelling around the continent, Paula missed her family and Peruvian cuisine. But moving back to Lima allowed her to share her love of these two things with visitors on the tours she leads. She and her mother run a cooking class from their home, sharing family recipes with their guests. “We bring them to the market. I show the local fruits and buy ingredients, then we go home to my mother. Together we cook ceviche and causa.” The recipes she shares with guests have been passed down through several family generations. As a team, Paula and her mother work in harmony. After all, it was her mother who first taught Paula the art of cooking Peruvian cuisine. In a way, Paula has come full circle. She was born in Lima, began her journey as a student, then went on to raise awareness of the importance of literature and education. Eventually, she became the teacher herself. She returned back to her hometown of Lima to share stories of her experiences, and enrich the lives of the newcomers who are eager to learn about Peruvian culture. She loves being a guide because she gets to teach visitors about the diverse country of Peru, to share local stories, and to emphasise how important it is to never stop learning. For Paula, travel is education and education is a part of travel. It teaches you more about yourself. It opens your third-eye.